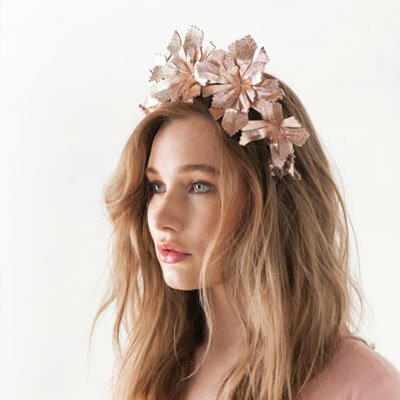 Crowns represent the timeless headwear symbolic of royalty and esteem and using leather to make flower crowns will add a touch of luxury to your new headwear collection. This style is much in demand as they are lightweight and easy to wear. Your tutor, Rebecca Share gives detailed instruction on how to make these statement pieces using time effective methods. Learn to adapt the material and style so crowns can also adorn your winter racing or bridal clients. 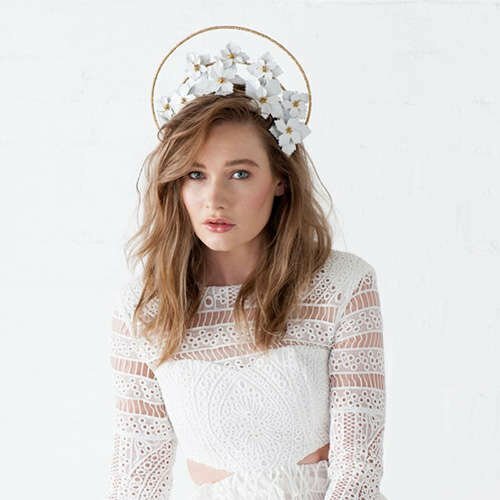 Add a halo to make a stand alone piece for a Fashion on the Field event this season. With the ongoing appeal of Crown headpieces Rebecca offers you all her proven tips to use leather to add value to your styling. Practical methods to create leather flowers will excite you giving a wonderful finish your clients will certainly love. These Crown designs suit brides as well clients wanting a striking look on race day. 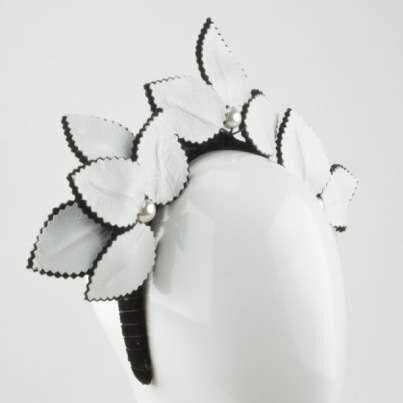 Rebecca teaches you simply how to tool elegant leather flowers then add to a Crown with a halo as a standout piece. Hat Blocks - Rebecca Share hat blocks with free shipping.